Mike O’ Hearn is an American bodybuilder, actor and personal trainer from California. O’ Hearn has been featured on over 500 magazine covers and has been the fitness model of the year seven times. He has also appeared on the American version reality show ‘Gladiator’. Mike is the founder of Power Bodybuilding, a training program that focuses on developing both strength and hypertrophy. Within this article, we’ll discuss Mike O’ Hearn’s workout routines and diet, and also the different supplements that he takes for his training. Within Mike O’ Hearn’s routines he normally mixes up his workouts with abs and cardio. This has always forced his body to grow, especially his abs and cardio workout. He plans his workout around compound movements with high reps which are 8-10 reps on each exercise. Mike O’Hearn uses cardio almost every day, which helps his body to stay in a very good shape all the time. Mike O’ Hearn always believes that carbohydrates are the key to longevity, and that is why he eats a numerous of carbohydrates every day to build his body up. Mike O’ Hearn’s workout routine normally consists of numerous exercises. If you take a look at his workout routines below you will see that he focuses on 8-10 in every exercise that he’s doing. O’ Hearn normally uses cardio as his main workout routine, which also helps him to stay in an incredibly good shape. 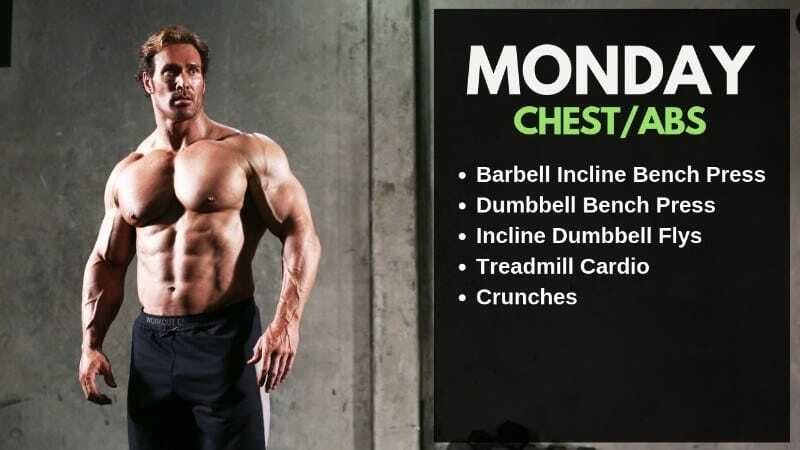 Within this workout routine, Mike O’ Hearn hits chest, cardio, and abs. On Monday he uses 5 different exercises. 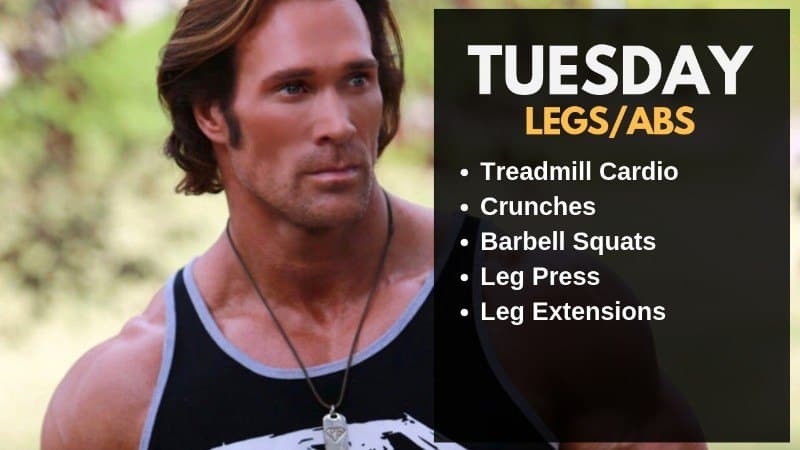 On Tuesday, Mike O’ Hearn performs a leg, cardio, and abs workout routine, where he first runs treadmill and after that, he works out his legs. 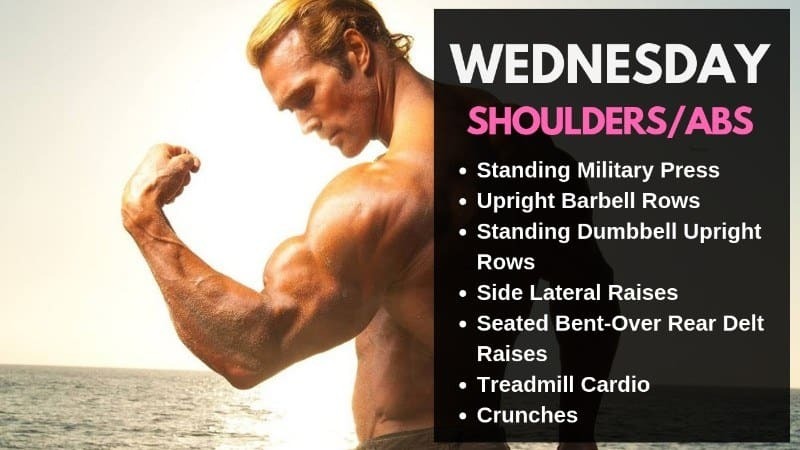 On Wednesday, Mike O’ Hearn hits a shoulder, cardio, and ab routine, where every set is around 3 sets and 8-12 reps.
On Thursday, Mike O’ Hearn performs an arm, cardio, and abs workout routine. 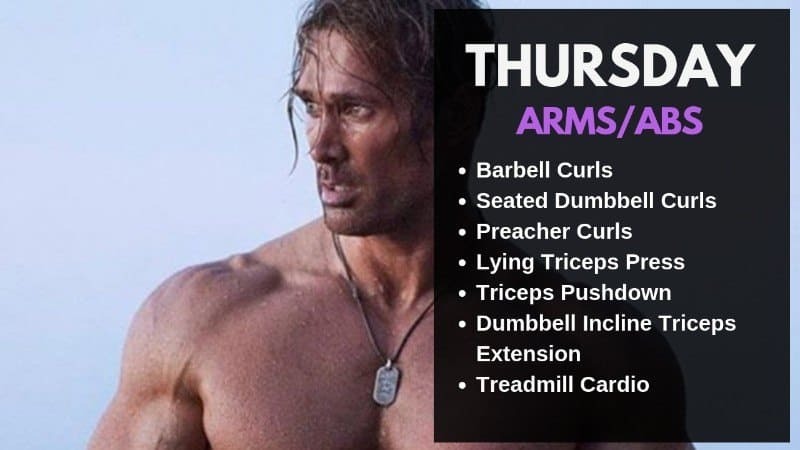 O’Hearn focuses a lot on abs and cardio work out, and every exercise is performed for 4 sets and 8-12 reps.
On Friday, Mike O’ Hearn hits and back, cardio and abs routine, where he uses 5 different exercises. On both Saturday and Sunday, O’ Hearn has his day off from the workout. Rest is just as important as working out because it’s an equal part of the total process required to build strength, endurance, and … muscles. Nutrition can be the hardest thing for a person to figure out. In order to dial in a great nutrition plan, you need help. Now that we already discussed O’ Hearn’s workout routines it’s time to go into his diet and all the supplements that he takes daily. O’ Hearn means that carbohydrates are the key to longevity. People often think that carbohydrates are the enemy when you work out but it’s really not. Start to calculate your calories for your new nutrition plan! Mike O’ Hearn is one of the most common icons in the bodybuilding industry. His name is very famous and he is well known for having the greatest physique and body of all time. There’s no doubt that he will remain a successful icon in the fitness world. What do you think about Mike O’ Hearn’s workout routine and diet? Leave a comment below. This is a good example but on his videos he does a lot more exercises than these mentioned in the article.